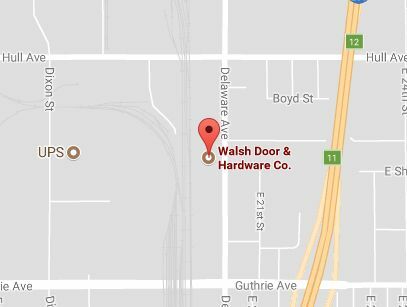 Look to Walsh for all your door hardware needs! 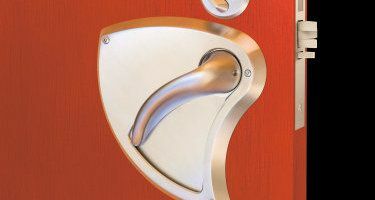 Depending on your application and requirements, there are a huge range of door hardware choices to consider. Just ask! Our professional project managers and estimating and detailing teams are experts with building codes and compliance and can help you select the optimum solutions for all your openings. 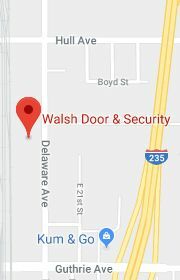 In addition to the door, frame and glass, door hardware plays a key role in preventing the spread of fire and determining the fire rating available for the door. We can help you select the correct hardware to meet your fire code requirements. Hardware is an essential part of the function and appearance of modern sliding barn doors and pocket doors. We can help you sort through the options to select hardware that provides the perfect combination of looks and functionality. 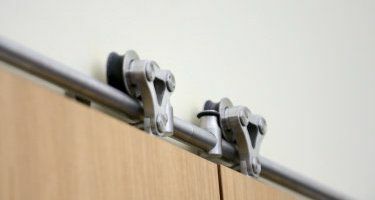 Simple push and pull hardware is often used with interior doors where latchbolts are not needed, such as the entry to a public restroom or office spaces not requiring fire-rated hardware. A wide variety of style are available, from plates and handles to round rods and cup handles. Primarily used in behavioral healthcare facilities, these innovative lockset designs meet both ligature resistance and ADA requirements. Heavy-duty door stops are available in a wide range of styles to suit many different needs – including floor and wall mounted, anti-vandal and extra heavy-duty designs. Heavy-duty, high-abuse models are available to reduce tampering and loss of rubber bumpers. Fasteners are available for surface-mounted and anchored applications. Our relationships with dozens of manufacturers means we can help you find the perfect hardware solution to maintain the historic integrity of your building’s architecture. 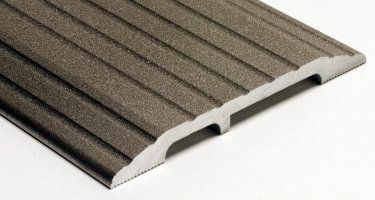 A wide range of threshold widths and profiles are available to match your needs, manufactured using aluminum alloy, architectural bronze or stainless steel. Custom shapes and sizes with welded assemblies are also available. Heavy-duty thresholds are tested to withstand up to 10,000 lb. loads and are ideal for delivery or storage doorways, where heavier forklift and vehicular traffic will occur. Slip-resistant thresholds are recommended for moisture-prone areas. Hot nickel and titanium bits are embedded in the surface, using a high-pressure thermo-electrostatic process. The result is a slip-resistant surface similar to high-grit sandpaper that is very durable and will not wear off. Smooth surface thresholds are recommended for best results where automatic door buttons are used. Thermal break saddle thresholds work with thermal break doors and frames to help keep extreme temperatures outside. Proper gasketing can help address a variety of safety and environmental concerns – from acoustical and sound control to fire, smoke, draft and weather control. Gasketing is available in a variety of materials – including vinyl, Neoprene, silicone, nylon brush, thermo-plastic vulcanizates (ATVP), polypropylene pile, ethylene-propylene-diene-monomer (EPDM), polyurethane and intumescent fire seals. Metal retainers for the gasketing are crafted from aluminum alloy, architectural bronze and stainless steel, in a variety of available finishes. Kick and armor plates are available to protect doors, walls and other surfaces. 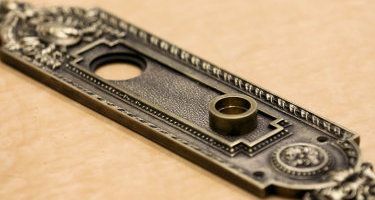 They’re manufactured from stainless steel, brass, bronze, aluminum or plastic and can be custom crafted in a variety of cutouts, sizes and shapes. Oval head, countersinking and security screws are available. 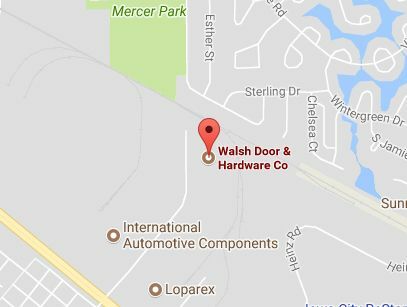 Walsh offers industrial-quality padlocks that can be keyed to match the keying system used throughout your property and facility. Rubber-coated padlocks are available for protection from the elements. 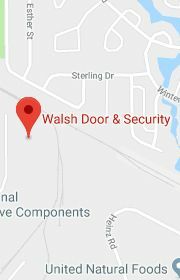 They’re often used by companies and institutions to secure exterior gates and box truck roll-up doors. 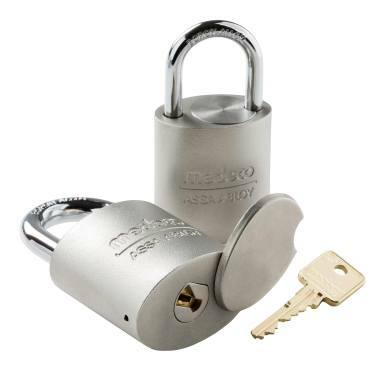 And we’ll be happy to help you select the optimum padlock options. 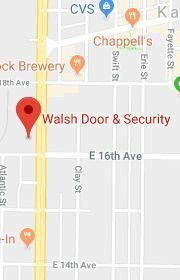 NOTE: Due to egress requirements, padlocks are rarely used with commercial interior doors.